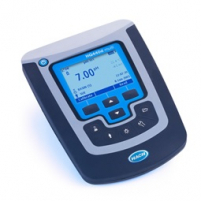 Designed for water quality experts, the Hach HQ430d benchtop meter is an advanced laboratory meter that takes the guesswork out of measurements. HQd meters connect with smart probes that automatically recognize the testing parameter, calibration history, and method settings to minimize errors and setup time. The advanced benchtop meter is designed to withstand years of continuous lab use. HQd meters feature a simple user interface that does not require manuals or training to operate. The HQ430d is a flexible multi-parameter meter that can expand to addtional parameters as testing needs change. Included in this package is a standard, low-maintenance conductivity probe suitable for general purpose measurement. Designed for your water applications, the Hach HQ440d laboratory meter is an advanced meter that takes the guesswork out of measurements. HQd™ meters connect with IntelliCAL™ probes that automatically recognize the testing parameter, calibration history, and method settings to minimize errors and setup time. Designed for your water applications, the Hach HQ411d laboratory meter is an advanced meter that takes the guesswork out of measurements. HQd™ meters connect with IntelliCAL probes that automatically recognize the testing parameter, calibration history, and method settings to minimize errors and setup time. Do you need a non-glass pH probe? Testing performed in food and beverage applications, academic teaching labs, environmental studies, agriculture, and petrochemical labs can require rugged, non-glass instruments. 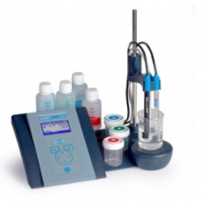 Hach's H-Series electrochemistry meters and probes provide long-lasting performance and hassle-free maintenance. With a rugged body and ability to store dry, these non-glass, ISFET pH probes resist damage, reduce upkeep and lower operation costs.